File photo of Montezuma County's drive-thru ballot drop box. Get the latest on commissioner races and ballot initiatives in the Four Corners. Polls close at 8 p.m. in Utah and at 7 p.m. in Colorado, New Mexico and Arizona. Preliminary results for local races are expected late Tuesday. This post will be updated as results are confirmed. Associated Press has called results for a few of Colorado's ballot initiatives, including votes against Amendment 73 and Proposition 112. Track statewide totals on Colorado Public Radio's website. Republican Jim Candelaria won the county commissioner race after a late-night ballot count between him and Democrat MB McAfee. Unofficial results placed Candelaria ahead of McAfee by 393 votes. The county voted against Question 7A, leaving the 22nd district attorney's term limit at two terms instead of extending to a third. Both Judge Todd Jay Plewe (22nd Judicial District) and Judge JenniLynn Lawrence (Montezuma County Court) retained their seats. Incumbent Republican Marc Catlin defeated Democrat Seth Cagin with all precincts reporting. Incumbent Republican Don Coram defeated Democrat Guinn Unger Jr. with all precincts reporting. In the county commissioner race, Bruce Adams (District 1) ran unopposed and unofficial results show Kenneth Maryboy (District 3) with a strong lead over write-in candidates. 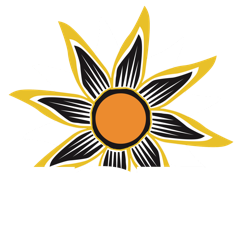 KSJD calls the race for both candidates. In District 2, Democrat Willie Grayeyes holds a lead over Republican Kelly G. Laws, but the race won't be called until mail-in results are updated. If elected, Grayeyes will join Maryboy for a Navajo-majority commission after redistricting was ordered to properly represent the county's Native Americans. Republican Phil Lyman won the house seat, according to unofficial results. Lyman previously served as the District 2 commissioner in San Juan County. Additional results will be made available Wednesday. Get the latest on Colorado's ballot measures and races for governor and the House. Get the latest on Utah's ballot measures and races for the Senate and House. Get the latest on Navajo Nation’s presidential election, referendums and more.